I can tell you what I see, but that I already know. Now it’s your turn. 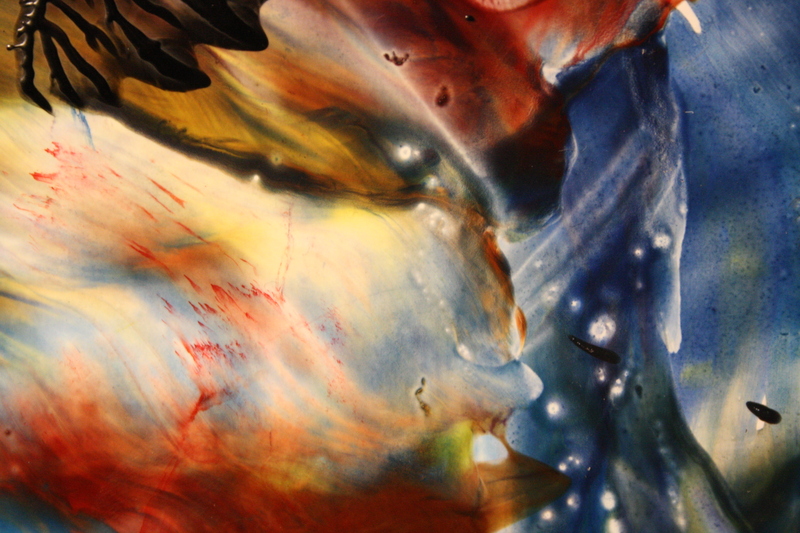 This entry was posted in Encaustic Art and tagged abstract art, art, arts, Dutch art, Erica Kanters. Bookmark the permalink. Hi Erica. I don’t know how your blog got unfollowed, but it was. So I have not been seeing your works! Anyway, WordPress keeps a record of all previously followed blogs! Well, I don’t see a formal thing, but I love the colors, textures, and movement!